Chicago signed him as a shortstop, but he made eight errors in his first five games, so they moved him over to 3B. When his career ended 14 years later, he was considered one of the top third basemen in baseball history. He jumped to the American League in a contract dispute in 1901 (urged to do so by another ex-Chicago star Clark Griffith), and over the next three seasons he was in the top ten in batting average, runs, hits, doubles, triples, homers and slugging percentage. He was also the best fielding third baseman in the league. How much was the difference between the Cubs offer in 1901 and the offer from Cleveland? $3100. Doesn’t sound like much, but it was 3/4 of his yearly salary. Gilly was a catcher, and had a cup of coffee as Gabby Hartnett’s backup during the 1933 season. He hit .280 in that limited capacity, and helped handle a pitching staff that included big-time pitching stars like Lon Warneke, Guy Bush, Charlie Root, and Pat Malone (all of them double digit winners that year). The following season he was sold to Cincinnati. 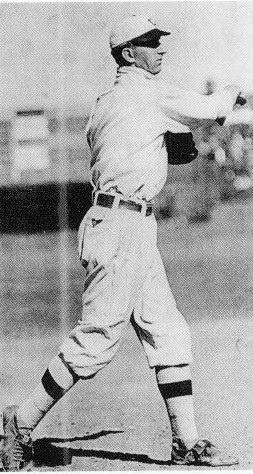 Gilly was a big leaguer until 1938. The Cubs traded him before he reached his prime. He became an all-star closer with the California Angels, but he also gave up the home run that knocked them out of the playoffs in 1986. That moment tormented him, and he was out of baseball just a few years later. The depressed Donnie took his own life in 1989.